VStore is a free, customizable, professional online storefront. You get a sub-domain, shopping cart, ecommerce web hosting, advanced ecommerce website design, and creation tools. Choose from over 160 templates and build your site with a full-featured WYSWYG HTML editor, etc. 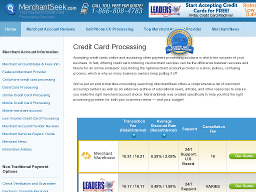 MerchantSeek Searching for a Merchant Account Provider can be a slow and tedious process. MerchantSeek provides businesses with a fast, free and easy way to locate merchant account providers that best fit their business needs and budget. 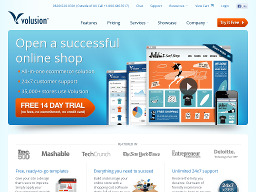 Volusion An award-winning, online shopping cart and ecommerce platform. You can design, build, and run your ecommerce store using the easy-to-use tools that include website templates, marketing promos, mobile-optimized version (of your site), social media interface(Facebook & Twitter), security features, CRM, etc. 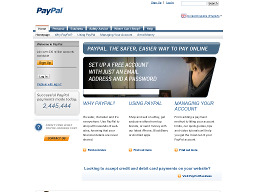 PayPal A safe and easy way to pay and get paid online. You can send money without sharing financial information, pay using bank accounts, credit cards, etc. Simply create an account, click on the PayPal button and pay as you shop; or get paid for your own products. Merchant accounts available.